It really does matter where you get your diagnostic medical imaging. SMIL Medical Imaging provides state-of-the-art diagnostic medical imaging and interventional radiology through our 14 centers and in 3 major hospitals. SMIL has 42 radiologists, each is fellowship-trained in one of 10 different imaging specialties and many hold additional academic positions in leading institutions. SMIL Medical Imaging is physician-owned and physician-led which means patient care comes first and it is physicians, not a corporation, who set the standards. 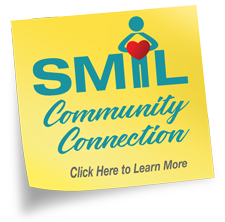 SMIL is a member of Radiology Partners, the largest radiology network in the U.S. SMIL Medical Imaging is recognized as one of the most respected radiology practices in the country with over 35 years of advancing technology, independent research and world-class patient care.